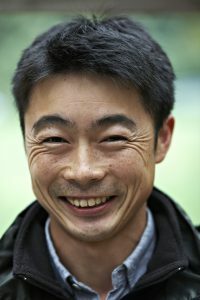 Congratulations to Ryo Sugiyama, Curator of Nitobe Memorial Garden, on his appointment to the TomoeArts Board of Directors! TomoeArts is a BC-based dance theatre company that celebrates and promotes Japanese art forms and aesthetics through interdisciplinary workshops and performances. Nitobe Memorial Garden was established 1959 in honour of Dr. Inazo Nitobe, notably an agriculturalist and a scholar, among his many titles. Dr. Nitobe’s desire to “become a bridge across the Pacific” is reflected in the mix of the garden’s Japanese and native plants. For the past eight years, Sugiyama-san has maintained Nitobe Memorial Garden’s authenticity to Japanese style and symbolism. Sugiyama-san graduated from Chiba University’s School of Science and Technology. with a masters degree in environmental science and landscape design. He holds a first level landscape gardening enforcement control technician certificate.